Attractive pink and white bicolored blooms on neat compact plants. 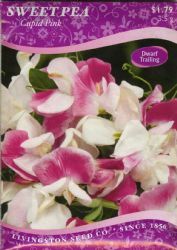 Ideal for containers, borders and hanging baskets. Sweet Pease offer fragrant flowers that are magnificent for cutting. A heavy blooming variety.